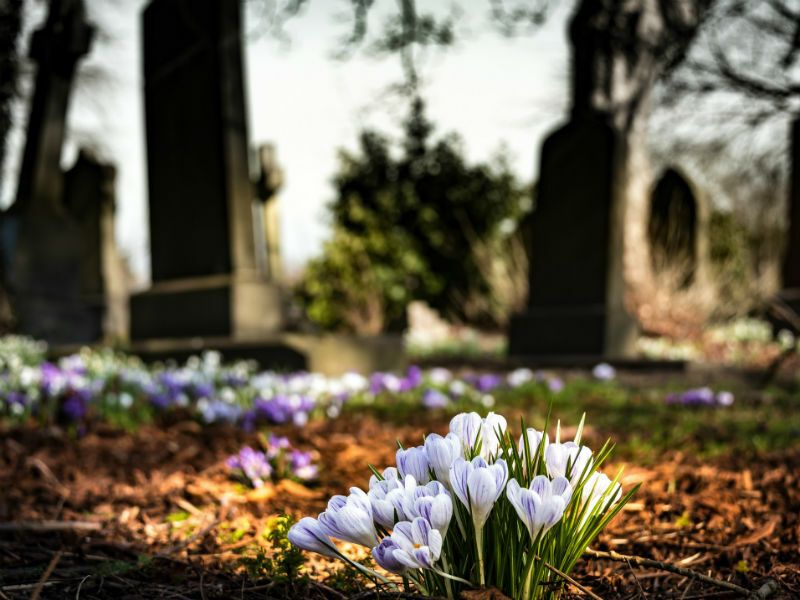 Burial is an ancient process, dating back as far as 130,000 years ago, and it still remains a popular funeral planning choice today. The cost of a burial is usually the same as a cremation, in terms of the funeral directors’ fee. However, the cost of a grave is generally more expensive, making burial arrangements slightly more expensive than cremation overall. You should bear in mind that you are not buying the actual plot of land, but the rights to have a burial there. The law states that a grave may only be ‘leased’ for up to 100 years at a time. You will therefore be given the option to ‘top-up’ your lease over time. It is also important to remember that if your loved was not a resident of the area you wish to bury them in, the cost may be significantly more. For a standard burial (single depth, in a coffin), the cost varies from a couple of hundred pounds (rural Wales) to several thousand pounds (Greater London), so it is always worth asking for an estimate before you go ahead with planning a burial. When deciding how to plan a funeral and burial, many people will take their loved one’s wishes into account. However, you may feel that you are unable to afford aspects of those wishes, so it is important to know that you are not legally required to do so. If you have already bought a lease for a grave, you will also need to submit your grave number. You must ensure that you have registered the death before arranging the funeral. You will be issued with a Certificate for Burial. This is needed for a burial to take place. Note that if the death has been referred to a coroner, that you will not receive this certificate. You will often be required to complete and sign a form called ‘Order for an Interment’. This completes a binding contract over the burial. You are not legally required to provide a headstone or a memorial for a grave. However, most people choose to get one made, whether it is weeks, months or even years after the burial. Once a headstone or a memorial has been ordered, it takes an average 8-12 weeks to be completed. The headstone cannot be placed until the ground settles; this can take around six months. The cost of erecting a gravestone or memorial may be included in the price, but be sure to ask beforehand if this is the case. There are now over 260 green burial sites in the UK. Prices can vary widely, depending on where you live.